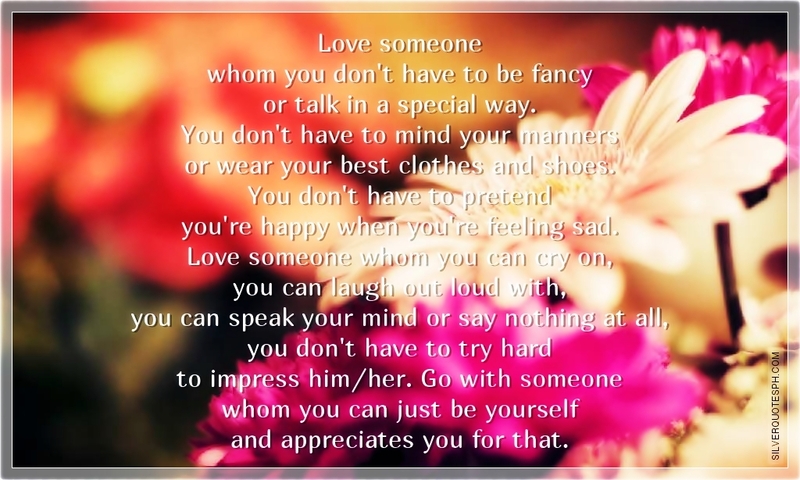 Love someone whom you don't have to be fancy or talk in a special way. You don't have to mind your manners or wear your best clothes and shoes. You don't have to pretend you're happy when you're feeling sad. Love someone whom you can cry on, you can laugh out loud with, you can speak your mind or say nothing at all, you don't have to try hard to impress him/her. Go with someone whom you can just be yourself and appreciates you for that.